Welcome to the Freedom Home Academy! 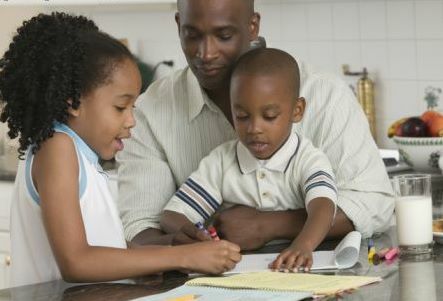 Our institution is a home school that is Afrikan centered in culture with a specific emphasis in higher level education and tutoring for toddlers through high school. We focus on developing and enhancing children intellectually, socially, and physically. We use different methods of teaching in order to best meet the learning style of children but we aim for the same result: academic intensity through an Afrikan perspective. Our commitment to intense academic performance is patterned after approaches practiced in Asia, West Africa, and Europe hence our 52 week school year. We use methods that produce extraordinary results. Our methods – regimented and demanding – focus on teaching students to analyze and critically solve problems. Our students pursue a rigorous curriculum in reading, writing, mathematics, and science; and they begin in the early childhood to study foreign language, music, and the arts. In the process, they learn to be responsible and independent in their studies, and to work on their own and with others. We encourage the spirit of inquiry that pervades our home school environment. Studies show that Afrikan children in America are not performing at the standard that will prepare them to achieve in this competitive world. Our program prepares the students for opportunities where the students will have limitless options for the future. Afrikan students are keen and brilliant minds and we teach and coach in methods that will amplify the excellence of the youth. We coach, educate, and train students to be innovators, entrepreneurs, and leaders. We believe this type of development starts as early as 1 years old. We recognize that balance is important with every human being, therefore physical exercise and social engagement is just as key to the development of the youth. We utilize a Code of Conduct as our qualifier for social and physical behavior. We know that our future as a nation relies with the youth- and we are committed to investing in our future. Please review our program details and feel free to contact us for any questions. We look forward to growing with you and your family.